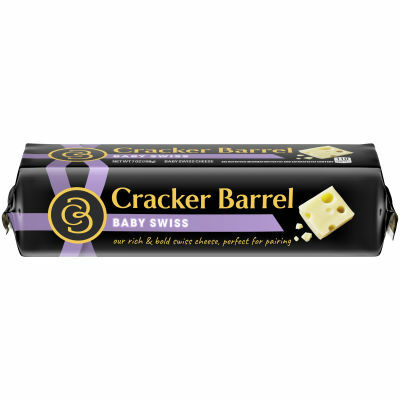 Cracker Barrel Baby Swiss cheese has a mellow Swiss flavor with smaller eyes than your typical Swiss cheese. Our high standards come from a belief that cheese making is an art perfected by experts with decades of experience. The deliciously different taste of Cracker Barrel cheese will keep you coming back for more. Serving size 1 oz (28g/ about a 1 inch cube).